Urgent Notice from the DJPC: You can make a difference! Honduras is currently in danger of returning to the era of authoritarian rule that prevailed in the 1980s. In response to a highly suspect presidential election in November, mass protest has erupted throughout much of the country. As the government has moved to crack down … Continue reading Urgent Notice from the DJPC: You can make a difference! Stop Pruitt: Keep Climate Deniers Out of the EPA! 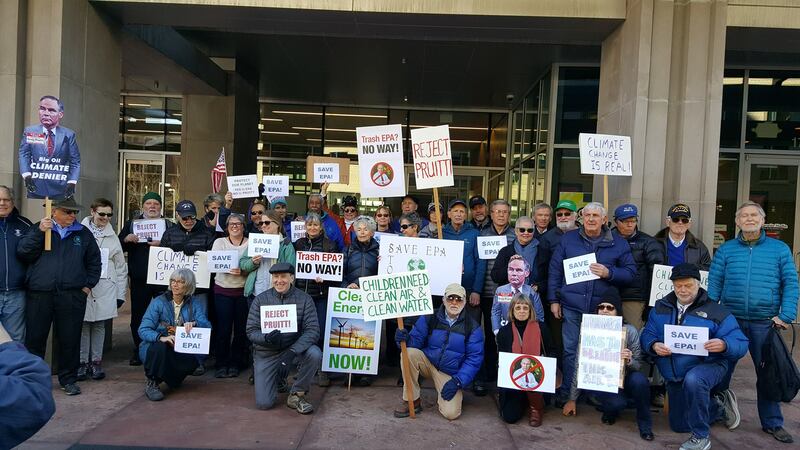 Monday, January 23rd at Noon: Join us as we rally outside Senator Bennet’s office. 1127 Sherman Street. Denver. Colorado. Trump has selected Oklahoma Attorney General Scott Pruitt to run the EPA. His nomination, if approved by the Senate, will prove to be a disaster for the health of our environment, and the future of our … Continue reading Stop Pruitt: Keep Climate Deniers Out of the EPA! Tell Newmont: drop your lawsuit against Máxima! 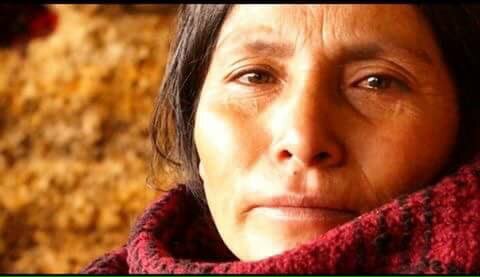 DJPC sisters and brothers: Yesterday, September 18th, at around 9.30 a.m. local time, “people hired by mining firm Yanacocha illegally broke into the property and started damaging the lot with various tools,” said Ysidora Chaupe, daughter of Acuña and Jaime Chaupe. Click on the link to read the full article. http://www.yestolifenotomining.org/peru-maxima-acuna-and-partner-attacked-by-mining-firms-guards/ Lea el articulo sobre … Continue reading Tell Newmont: drop your lawsuit against Máxima! ACTION ALERT FROM DJPC’S ADVOCACY COMMITTEE! Getting down to the wire! 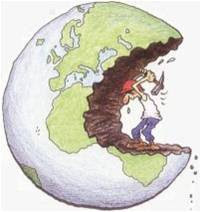 Say “NO” to Fast Track for the TPP~NOW! A bill to revive Fast Track — the legislation to push the Trans-Pacific Partnership (TPP) through Congress — could be introduced very soon. At the moment, Senator Ron Wyden has the ability to decide the … Continue reading Say NO to TPP! Last Call for Nominations for 2015 Award! DJPC’s GLOBAL JUSTICE & PEACE AWARD 2015 DJPC’s Board of Directors is calling for nominations for DJPC’s Global Justice & Peace Award 2015, given at Awards Night to be held this Fall. Criteria for Award recipient: – an individual or organization doing exemplary work in solidarity with the people of Latin America; … Continue reading Last Call for Nominations for 2015 Award!